Prague city center offers something for everyone. From traditional Czech restaurants or burger pubs to classy Italian restaurants and luxury Michelin star restaurants. But what about those who seek cuisine with a conscience? 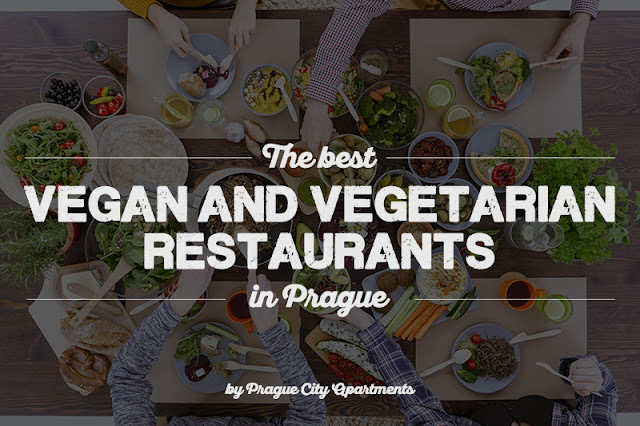 Don't worry, we have put together the best restaurants and bistros in the center of Prague offering delicous vegan and vegetarian meals. And of course, all of them within walkin distance of all our residences and apartments. Forget about meat and enjoy your meal in our beatufiul city! Visiting Prague Castle and looking for something to eat? 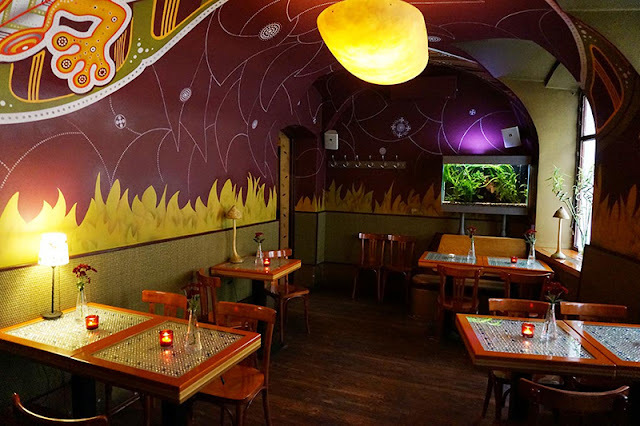 Stop by in Vegan's Prague, lovely vegan restaurant located in Nerudova street, only 3 minutes walk from the castle. They offer original super tasty vegan meals prepared from fresh ingredients. You can taste speical vegan variants of traditional Czech dishes, amazing meals inspired by world cuisine, vegan burgers and much more. 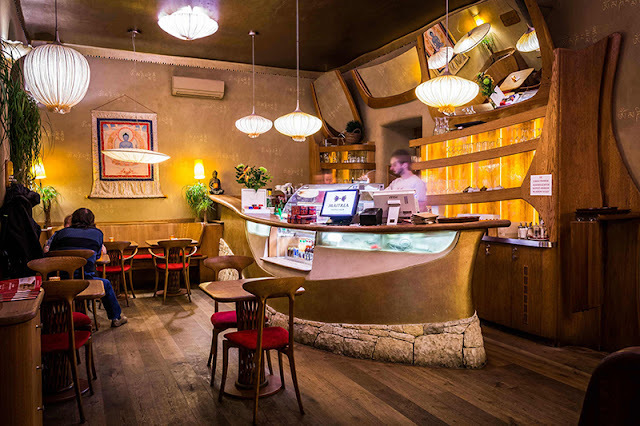 We also recommend their RAW desserts and local wine or beer from Vinohrady. Staff is very nice and helpful. Number 1 in Lesser Town! 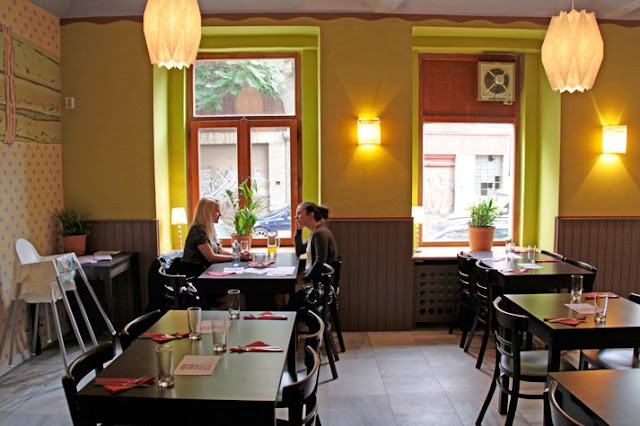 Only 3 minutes walk from our main Residence Karolina, you can find one of the top choices for most vegans and vegetarians in Prague. Lehká hlava/Clear head is located in Boršov street, just next to the Vltava river bank. You will find yourself in a very original interior decorated by talented artists. They cook with fresh ingredients and their meals can be very tasty even for meat lovers. Every weekday from 11.30 P.M. they serve lunch menu at a discounted prices. See their website for this week's offer. Definitely a must try for everyone. This amazing vegetarian restaurant is situated in a quiet street, only 5 minutes walk from our Residence Karolina or Ostrovni 7 Apartments. Their meals are not just healthy and tasty, all of them also look great. They use local and seasonal ingredients to prepare perfect dishes not just for vegetarians and vegans. Estrella also offers daily lunch menu (soup + main course) for less than 200 CZK (8 EUR). The staff is attentive and fast. The restaurant is perfect even for a nice dinner but make sure to book a table as it can get pretty crowded. Týnská ulička is one of the most picturesque streets in Prague. 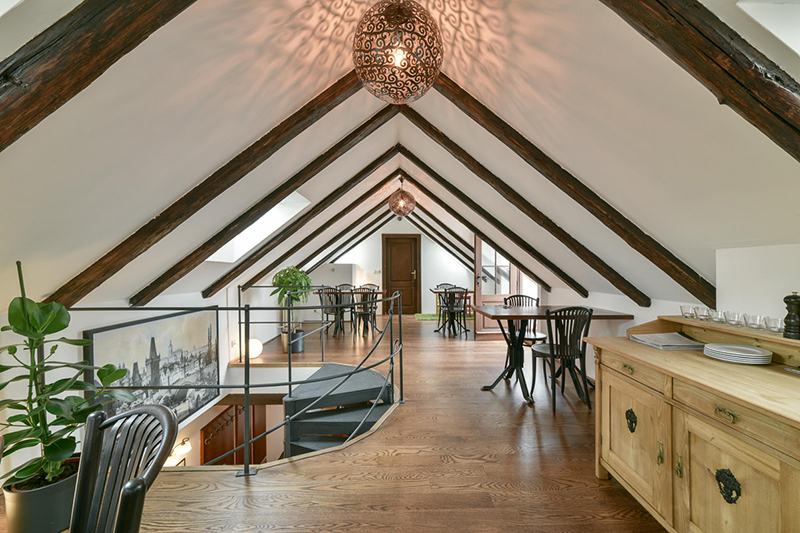 Just behind iconic Tyn Church, few steps from the Old Town Square its hidden from the biggest tourist crowds. And this nice street is a home of another perfect vegan/vegetarian place, Maitrea, a sister restaurant of Lehká hlava. Their meals will simply amaze you. Same as Lehká hlava, every weekday from 11.30 P.M. you can order lunch menu at a discounted prices. You will sure enjoy very cozy interior and nice attentive staff trying to make your visit unforgettable every time. Always be sure to book a table well ahead as Maitrea is pretty popular place not just for vegans. Most likely the best choice in the historical center of Prague. 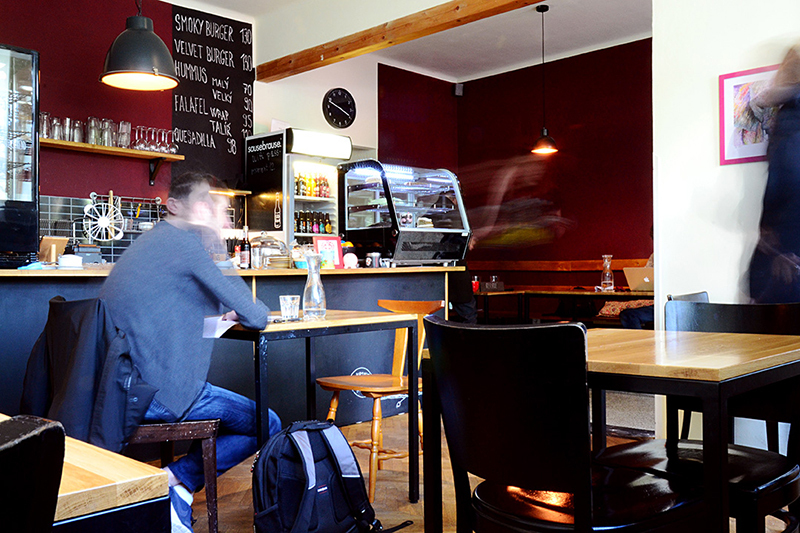 Cafe Moment is not located in the very center of the city but it can be easily reached by green "A" metro line from Staroměstská or Můstek station. Or simply take a walk, it's not too far. You will find it just next to Sady Svatopluka Čecha park. We just couldn't miss it as it is 100% vegan and 100% awesome. Cafe Moment invites everyone who "feels love for animals and is willing to contribute in environmental protection, or simply has a taste for super vegan delicacy". Same as most Prague restaurants this cafe offers lunch menu from Monday to Friday (soup + main course) for reasonable prices. And good news for all sweet lovers – they make the best homemade vegan sweets! This lovely place is definitely worth a visit. 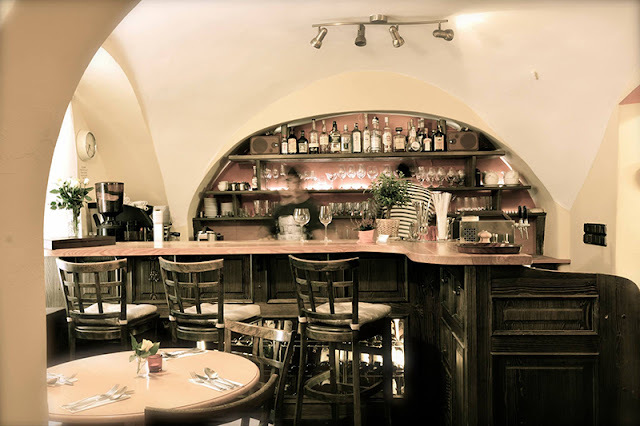 And the last restaurant in our list is not exactly located in the center of Prague either but if you take a nice walk from the Republic Square, you will get there in 10 minutes (or 15 minutes from our residences Rybna and Masna). Karlín district is a home of very interesting trendy places and Mlsná kavka is surely one of them. Mlsná kavka is a part of a admirable project helping people with mental illnesses who rehabilitate working here. The restaurant boasts tasty meals for quite favorable prices and offers lunch menu on weekdays.